Eye For Art have a long established history and is a much loved club. 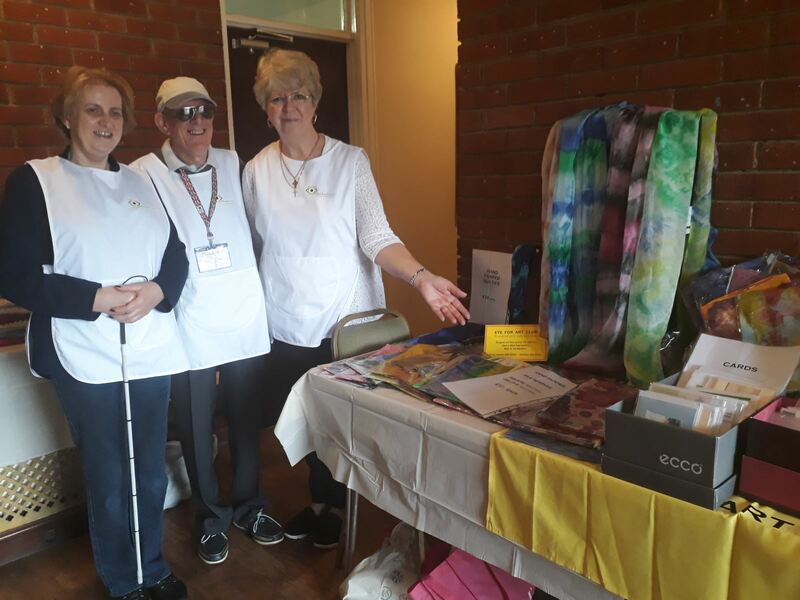 Run entirely by volunteers, many of whom have sight loss, the club concentrates on creating fantastic pieces, such as their hand painted silk scarves and beaded bracelet/necklaces, which are sold at various places across Milton Keynes. Some members require a dedicated volunteer/guider for these sessions, whilst others work in groups of two or three with a volunteer. It’s an energetic club working on a range of projects through the year using different crafting mediums. Volunteers Liz and Pam run the club in Burnham with a large team of volunteers who bring lots of fun and crafting talents to this motivated group every month. The dates of future events may be found on their local website. Craft is also offered at our Marlow and Chiltern Clubs.